My husband used to tell me when we were dating that he did not like potatoes. 4 years and many many potato recipes later, I am convinced that he just never ate potatoes the right way. 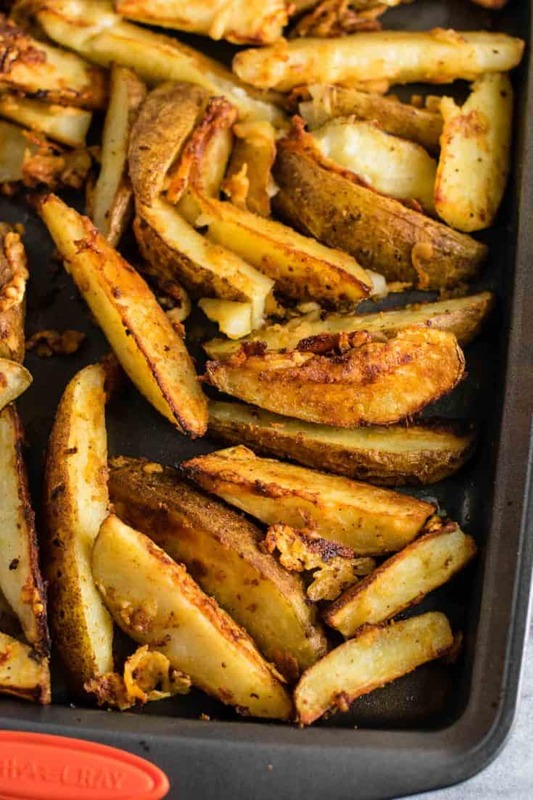 He has devoured every potato recipe I make, and these parmesan garlic potato wedges are one of his favorites! 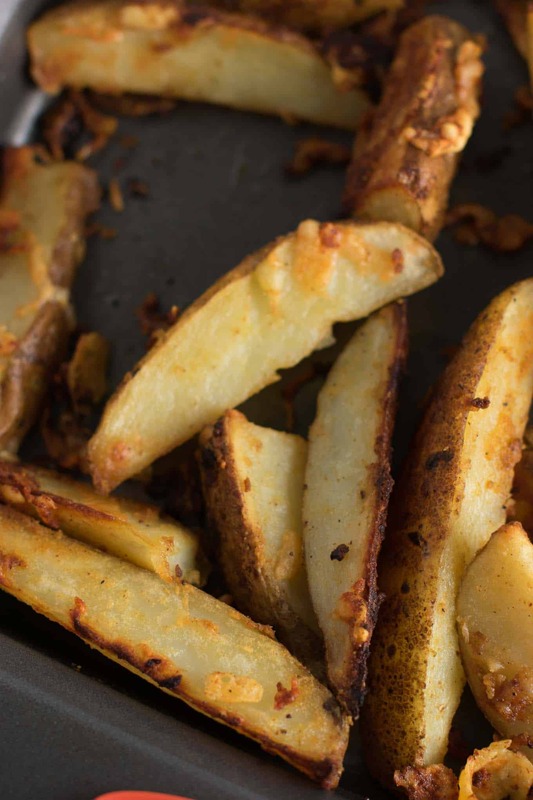 I almost named this recipe “crack potato wedges” because they are so addicting. 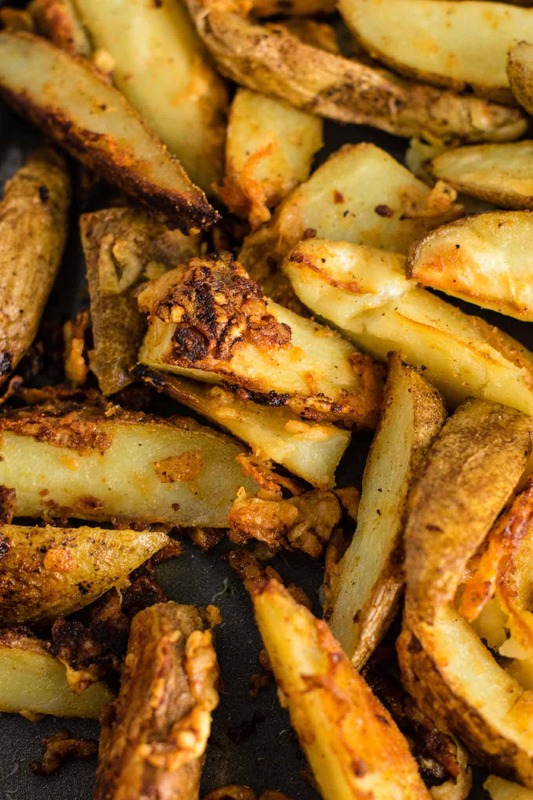 When you roast potatoes covered in spices and freshly grated parmesan, amazing things happen. The freshly grated parmesan is absolutely necessary in this recipe, so please take the extra few minutes to grate it yourself. 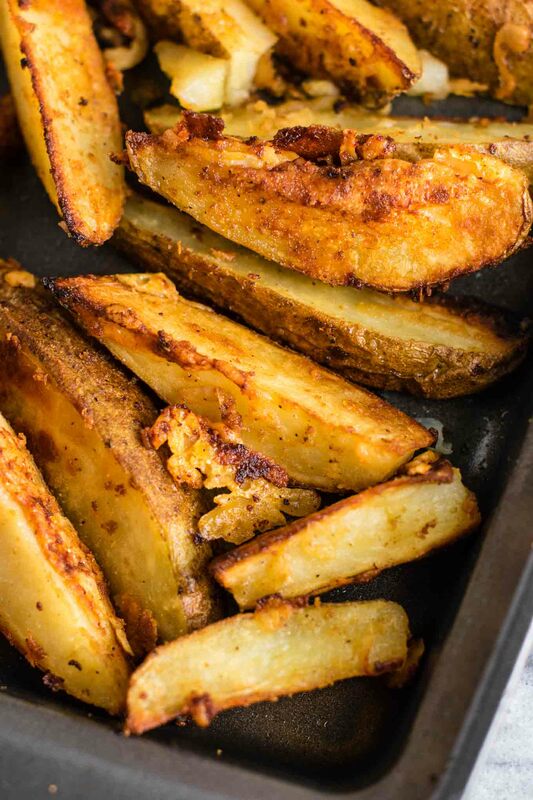 The result will be crispy parmesan edges on your potatoes, which is totally worth it! See those crispy edges? That’s where all the flavor is! My husband loves anything with burnt or crispy cheese, so these do not disappoint. I serve mine dipped in ketchup, but they are delicious alone too. 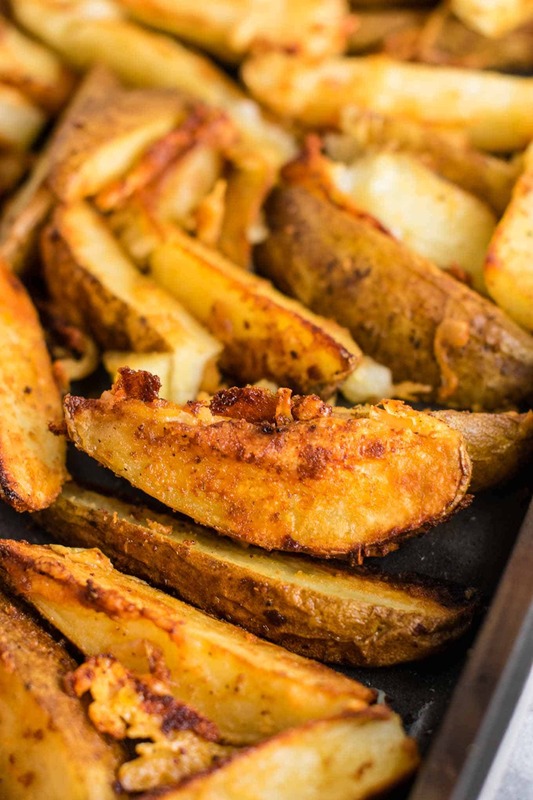 Garlic parmesan crispy potato wedges - the perfect appetizer or side dish that everyone will love!